Here we have something special. 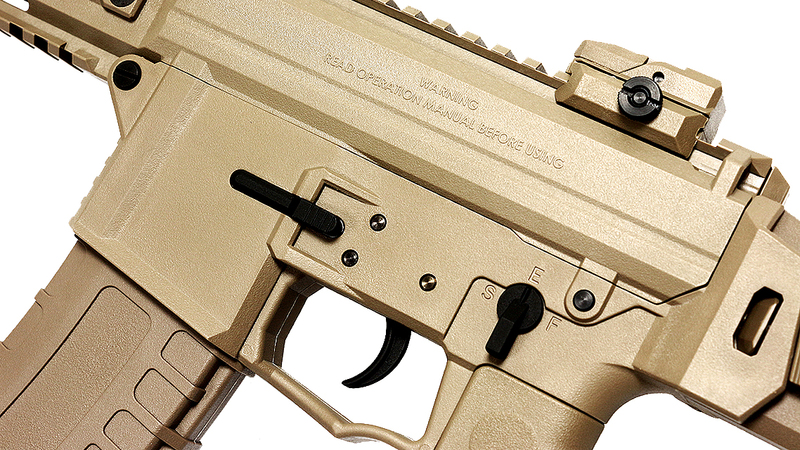 Many airsoft companies have started to design their own airsoft rifles and pistols and GHK have followed the trend. 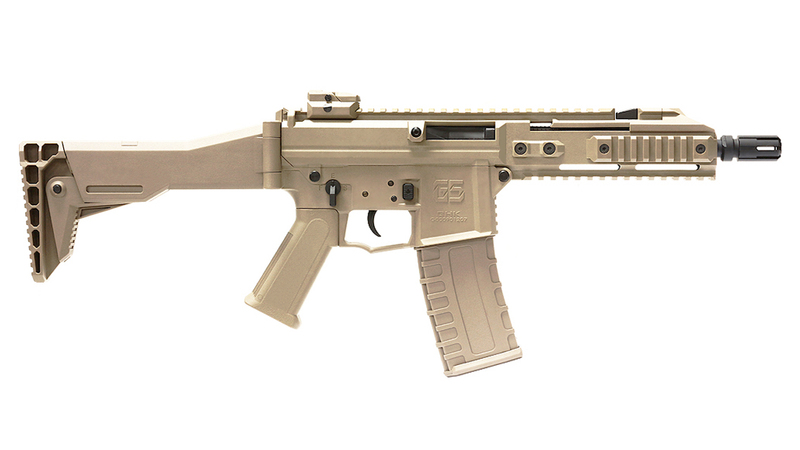 They have come out with the G5 GBBR and let me tell you something. 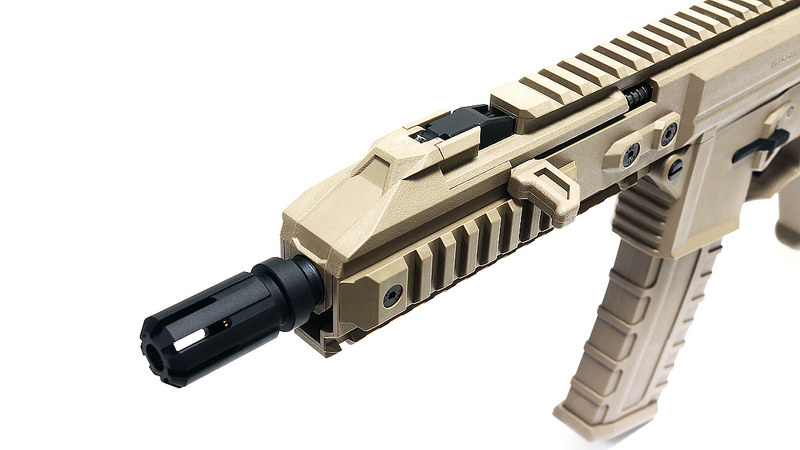 It is certainly very cool and bound to be a very popular airsoft gun especially for CQB. It's not very long at only 629mm. 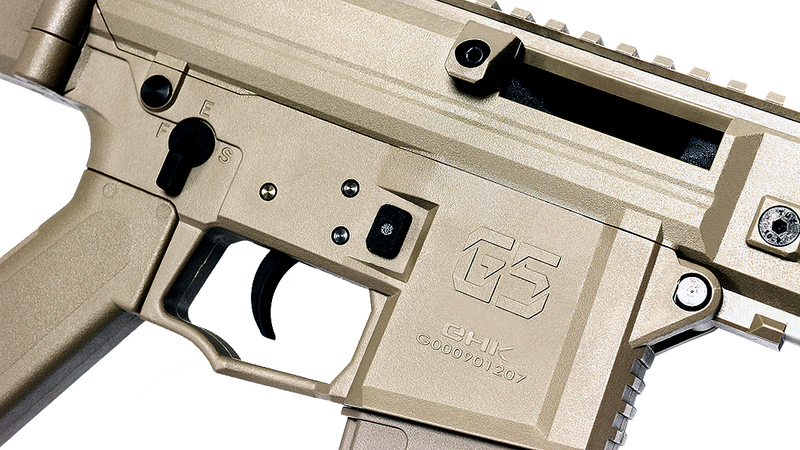 The G5 is incredibly slim and compact and is made of a DuPont material which is a form of ABS plastic. Altogether it weighs just about 2 kilo grams which is just above 4 pounds. Without the magazine, it's only 3/4 the weight. The magazine itself holds 30 rounds 6mm BBs and runs on Green Gas going through 2 full magazine rounds withstanding temperatures of -10 degrees Centigrade which is 14 Degrees Fahrenheit. Cold countries are going to love the G5! 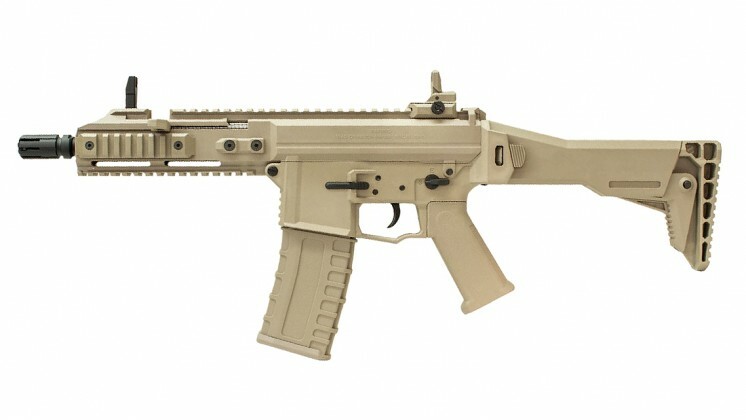 It may resemble another firearm out there but it is of GHK's own design. 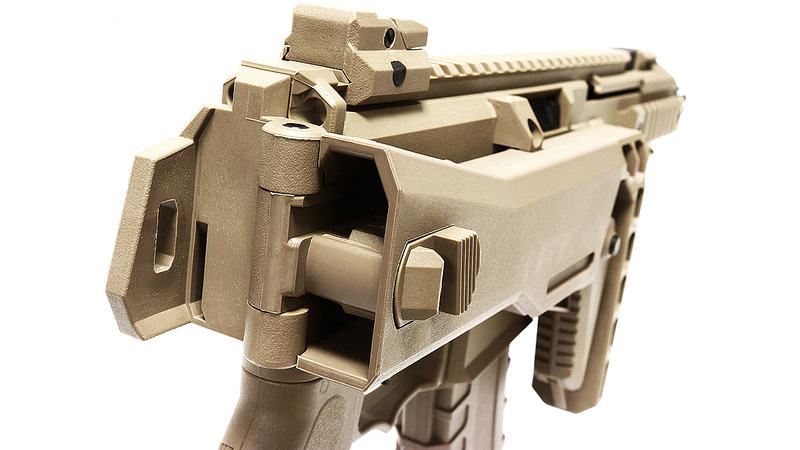 it looks to bare some similarities to a M4 RIS with Quad Rails. 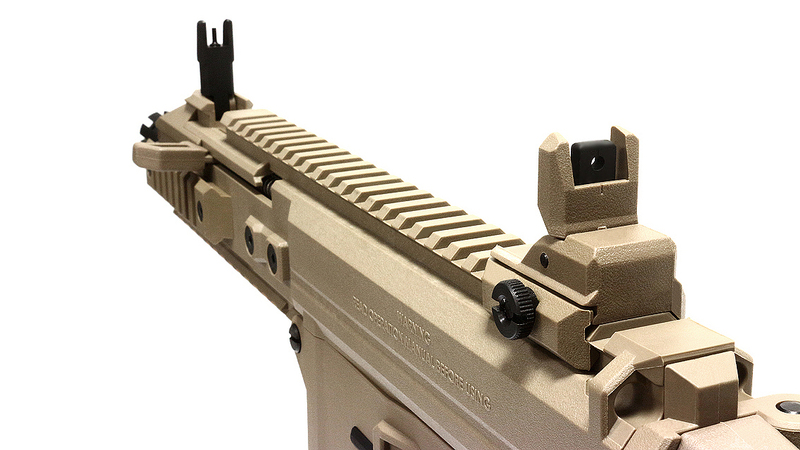 It has a folding stock which you can replace with an adapter for a M4 stock tube, flip up rear and front iron sights and a charging handle that takes after the NP5 which is something we haven't seen for a very long time. 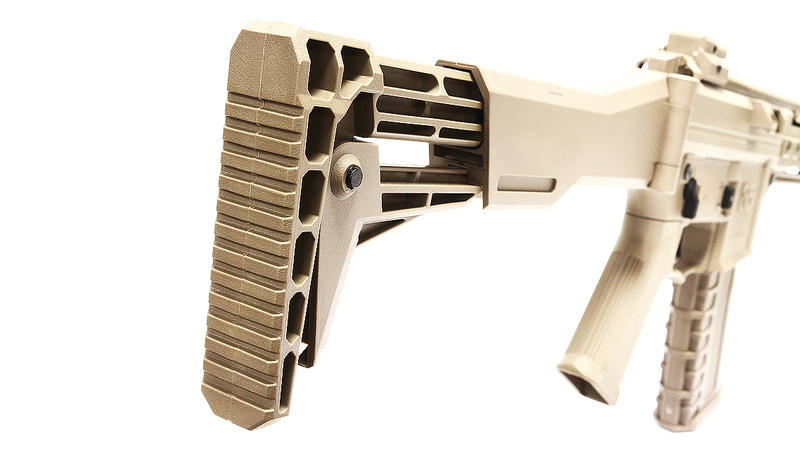 The G5 has an M4 style pistol grip which you can change to any style for a GBBR.